The Vauxhall Ampera promises the ability to cover 175 miles on a gallon of petrol. Does it deliver? This is Opel's, and in a couple of years' time, Vauxhall's, new electric family car. In mainland Europe, beginning with electric-friendly Norway and followed next by Belgium, Holland and Germany, it replaces the original Ampera, of which so much was expected but which sold in small numbers. That 2011 Ampera was a range-extender with a separate petrol engine to power a generator, making the Ampera a viable daily driver with no 'range anxiety'. This new one is fully electric, but Opel's engineers claim a class-leading range of 323 miles on the existing official tests and 236 miles on the more realistic WLTP (Worldwide harmonised Light-duty vehicles Test Procedure) tests. If reached in the real world, these figures make the Ampera-e the most practical sensible-money electric car yet. The key to this usability is a particularly high-capacity battery pack designed and built by LG. Its 288 cells deliver 60kWh, and the 430kg assembly sits under the Ampera-e's floor with a kicked-up section under the rear seat. There's no centre tunnel, the seating position is MPV-high with lots of rear leg room (in fact, more in this Vauxhall Corsa-footprint car than in the bigger Astra), and there's a decent 381-litre boot extendable into a 1274-litre cargo bay by folding the rear seats' backrests down. The bonnet, doors and tailgate are made of aluminium, the whole car weighs 1691kg, and with 201bhp and 266lb ft of torque on offer from its engine, the latter from zero rpm, it promises to be a lively machine. The Ampera-e is built by GM in Orion, Michigan in the US, alongside its very similar Chevrolet Bolt sibling. They share a unique, electric-specific platform and running gear. A facelifted version of the original Chevrolet Volt, the car that morphed into Europe's first Ampera, continues in US production. Far from looking obviously high-tech and electric, the Ampera comes across simply as the neat-looking compact MPV it is. Only the flap in the left-hand front wing, concealing the charging socket, reveals that things are not quite as they seem. Inside, all the trim panels and the dashboard are hard to the touch but easy enough on the eye. The front seats are trimmed in part-perforated leather, the rears in similar-looking vinyl, and the floor is completely flat. The dashboard is dominated by an 8.0in display ahead of the driver and a 10.2in infotainment screen, the latter housing sat-nav, the usual settings menus and graphics revealing how and where the car's electric energy is flowing. The smaller display includes range, state of battery charge, an indicator showing the rate of current loss or gain of charge, and the speedometer. It all looks quite Tesla-like, and there's a raft of connectivity including Apple CarPlay, Android Auto (one or other supplies the sat-nav) and GM's OnStar services system. An induction-charging system for the vital smartphone is standard, and the usual suite of safety and parking-assist systems is also present. This is a well-equipped car. It's also a quick one, with a ballistic getaway if asked and – in an exact match with the BMW i3 – the ability to go from 0-62mph in 7.3sec. It is claimed also to surge from 50mph to 75mph in 4.5sec. but the pace runs out at 93mph to conserve battery charge. Overtaking and slotting into traffic streams are instantly effortless processes, made more so by an almost-silent drivetrain and, on Norwegian roads at least, little road roar. A new viscous coating system inside the Michelin tyres helps damp tyre resonances, but more useful is that it permanently seals penetrations of up to 6mm diameter without loss of pressure. The puncture-proof tyre has arrived, it seems. The Ampera-e's suspension operates smoothly and quietly, and the car stays level in corners while steering naturally and accurately. It grips gamely, too, with great front-end bite and no excess understeer. It hides its weight well and proves remarkably good fun to drive. 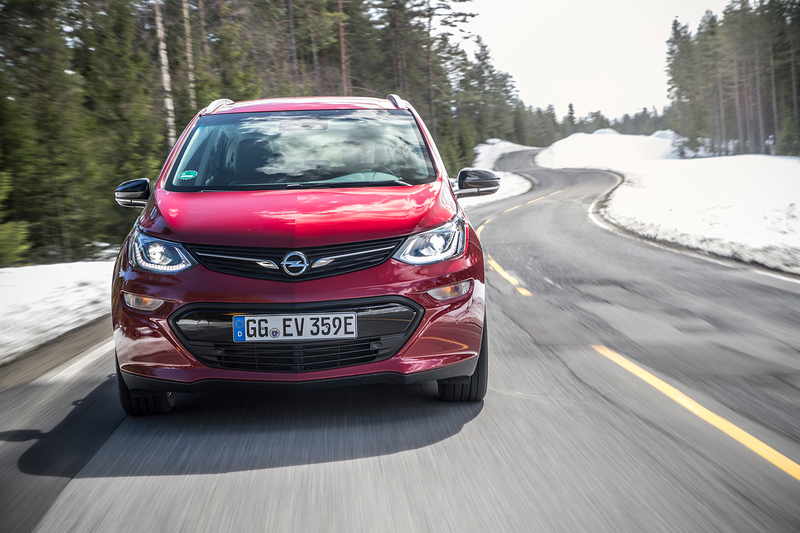 Freshly charged, our test car showed a predicted range of 369km, or 229 miles. After a normally-driven test route of 137 miles (including bus lanes, which electric cars can use in Norway) there were indeed 92 miles left, showing the prediction to have been uncannily accurate. One way of maximising the range is to manually activate extra regenerative braking by pulling and holding a paddle on the left of the steering column, and with practice and anticipation you can dispense with the footbrake – which itself uses regenerative braking until extra 'real' braking is needed – entirely. The paddle activates the brake lights, of course. It's all very impressive, and rather likeable. One snag, though, is that the heater, which uses rather low-tech electric elements, is very unresponsive. 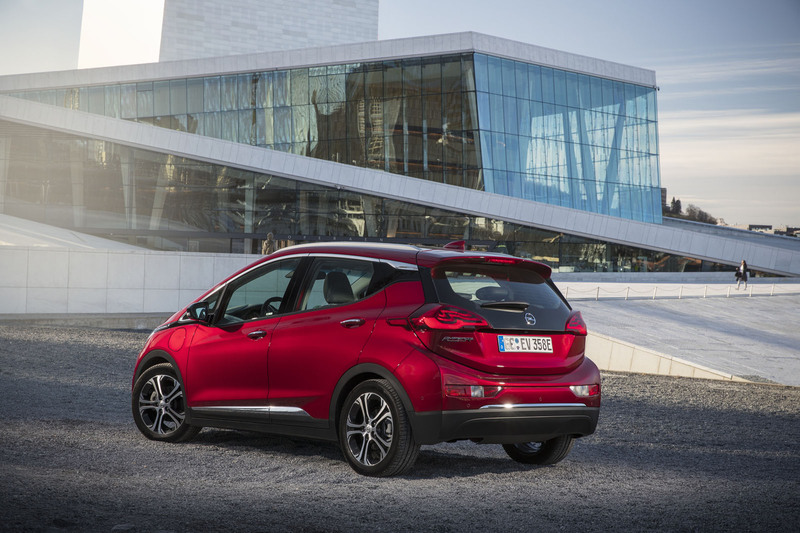 In Germany the Ampera-e costs the equivalent of £29,700, and the UK price is likely to be similar if it comes here. From that, you can deduct the £4500 government grant for which it would currently be eligible, although there's no guarantee that will still be the case in 2019, which is the mooted UK launch date. 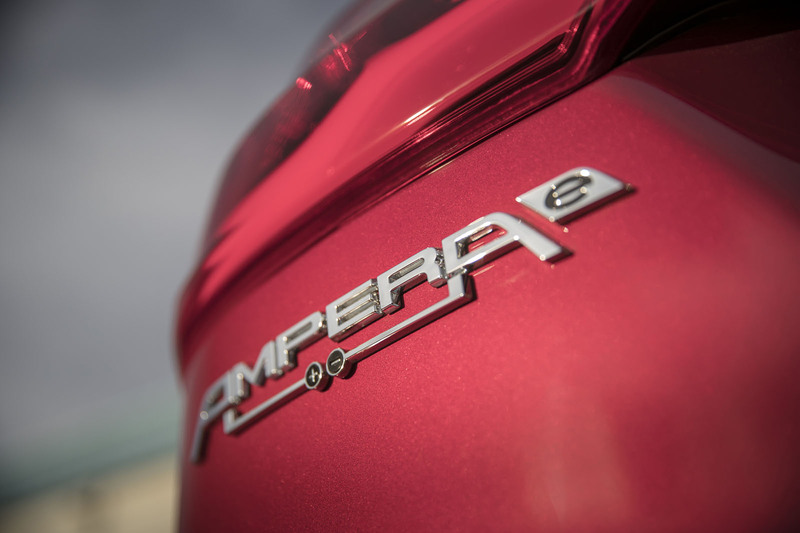 There's also the matter of the PSA Group's acquisition of a controlling interest in GM's European operations, which means that PSA will effectively be buying Ampera-es from GM. What that means for the business case for a right-hand-drive (RHD) model is unclear, although GM had previously said it was pressing ahead with it. Assuming RHD and a UK presence do happen, you'll find in the Ampera-e the most practical and most useful pure-electric car yet offered at a relatively low price. That it also looks good and is a remarkably pleasing drive makes it a potential winner in our view. If you read this Vauxhall, please let's have right hand drive and a sensible price. Could be the most desirable car you've made in recent times and I'm not knocking your run of the mill stuff. Opel/Vauxhall WHERE/WHEN can I get a new Ampera-e? I am with Shrub with his wishes! Is the new tesla not apparently about to be launched with a price around £25k and a larger range ? But that car is competing with mid size executive cars. So who will market this in UK? PSA or GM? How on Earth does this only get four stars? Surely GM/Opel/Vauxhall have made a big mistake by not launching this car in the UK!! Almost twice as many electric cars were sold in the UK last year compared to Germany, where the local car industry seems to be stuck in the fossil fuel past.